Every year gaming becomes more and more popular around the world. It is no longer the exclusive hobby of sweaty, socially inept teenage boys (I can say this as I was one of those boys many moons ago) who lock themselves in their bedrooms for hours only to surface every now and again to grab a packet of crisps or some other equally unhealthy sustenance. Nowadays gaming is much more mainstream with people from all walks of life getting in on the act. 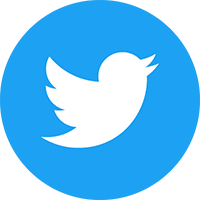 Gaming has penetrated many aspects of our lives, people play games on the train on the way to work, people both young and old play games with each other and mobile gaming has opened the doors to gaming to everyone. We even wear gaming inspired clothing, we are proud to be gamers and want to show people our favourite games by wearing them, it’s not dissimilar to people wearing sports shirts to show their allegiance to their favourite team. Over the festive period I was looking for some gaming inspired clobber to buy as a present for someone and was blown away by the sheer amount that is available nowadays. I’ve pulled together some of the best stuff I found in the list below, although some of the items are easy to come by and I’ve provided links some of the items will be a bit trickier to track down given their exclusivity and limited numbers. This double layered hoodie is inspired by the Assassin’s Creed games. 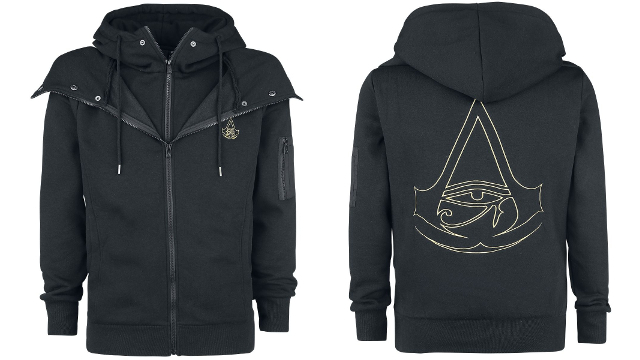 it has embroidery on the front and back and allows the wearer to cover their face in true assassins style. You can pick this up from emp.com. 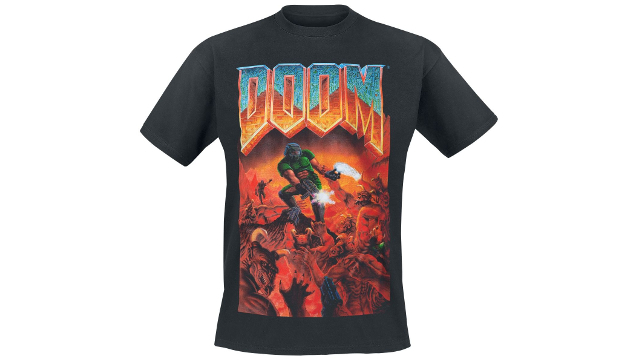 Show your love of all things doom in this retro style T-Shirt also from emp.com. 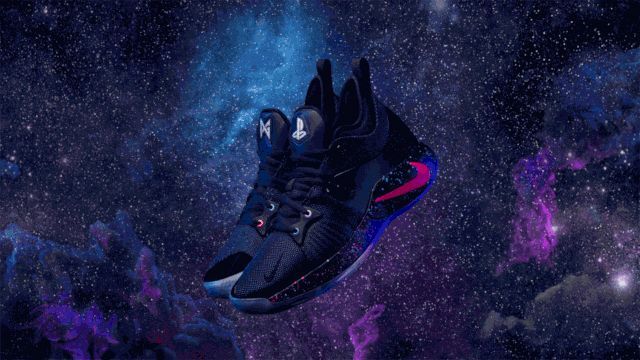 PlayStation inspired footwear from Nike. This is the most recent release of their PlayStation trainers but if you look around you can find pairs with different colour schemes. 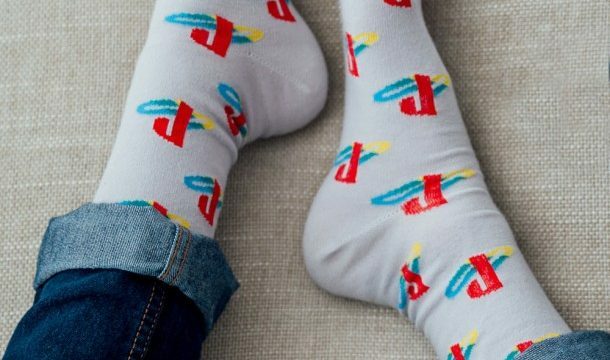 Keep your feet warm in these PlayStation inspired feet warmers, otherwise known as socks. 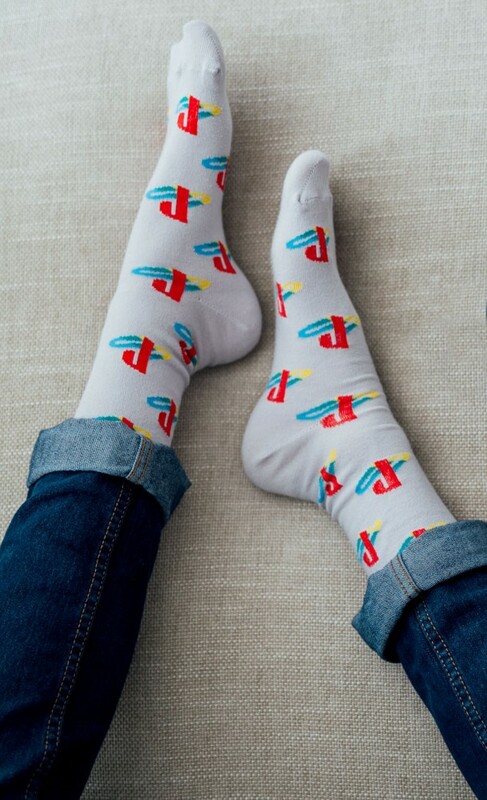 You can get them from Insertcoin.com. You will find it hard to track down all of the styles that were made in this collaboration as many have sold out completely. 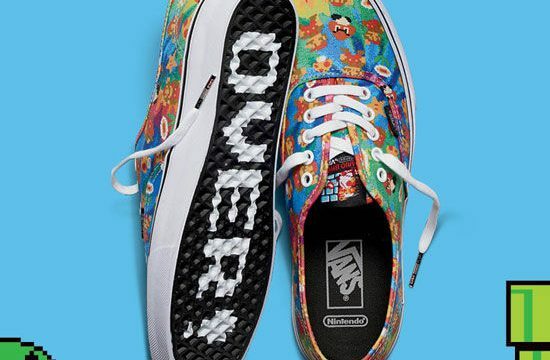 There are still some designs still available on the officialVans website. 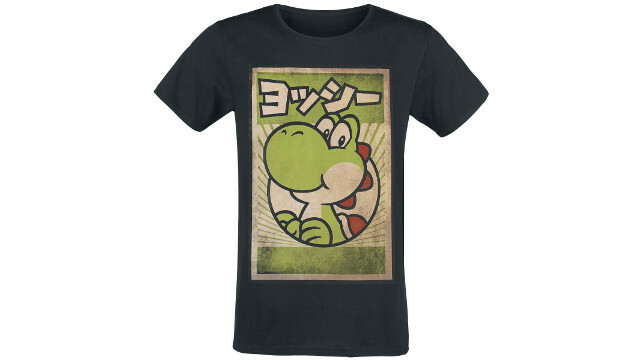 Whether you are fan of Yoshi or not this T-Shirt is cool, at least in my humble opinion! You can can get your own over at emp.com. 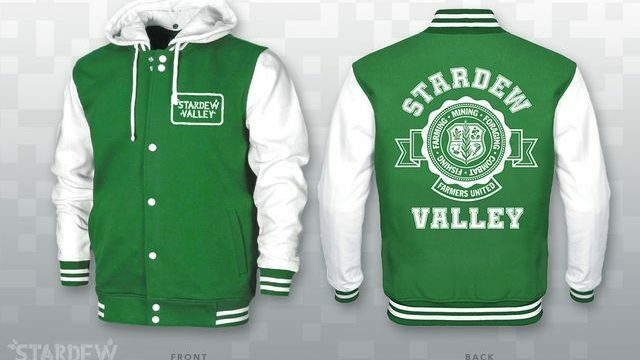 If you’re a fan of the smash hit Stardew Valley then this jacket could be the perfect addition to your wardrobe. You can get your own over at fangamer.com. I like this T-Shirt as it isn’t simply a print of a logo making you a walking advert. This shirt links nicely to in-game references. 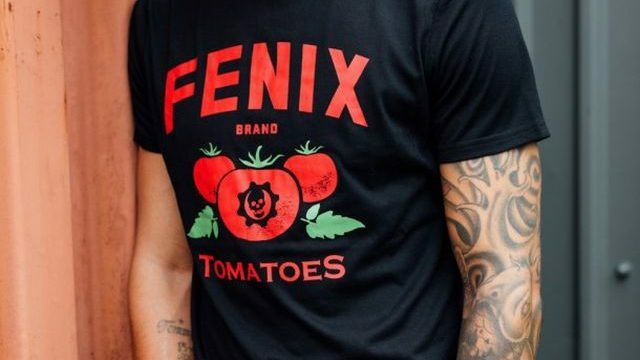 You can get your own tomatoes Tee over at insertcoinclothing.com. This image shows the back of the hoodie and really shows off its unique style with the pointed hood. You can buy your own at emp.com. 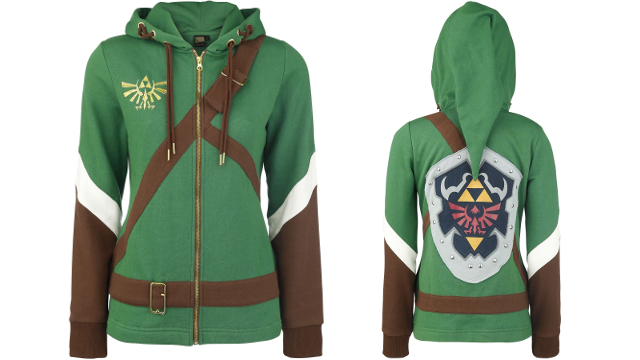 Whilst this is far from a definitive list of the videogames inspired clothing out there I hope you will agree that the items I’ve picked out are pretty cool and will inspire you to go out there and find your own pieces to wear with pride.